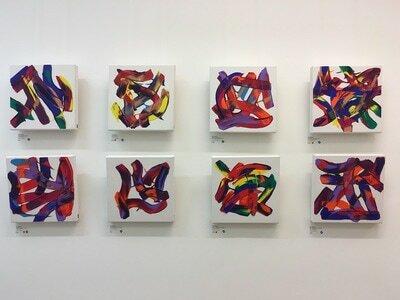 A series of paintings representing musical notes or sounds, such as a door bell, car horn or coffee machine, which I recorded daily throughout 2016. 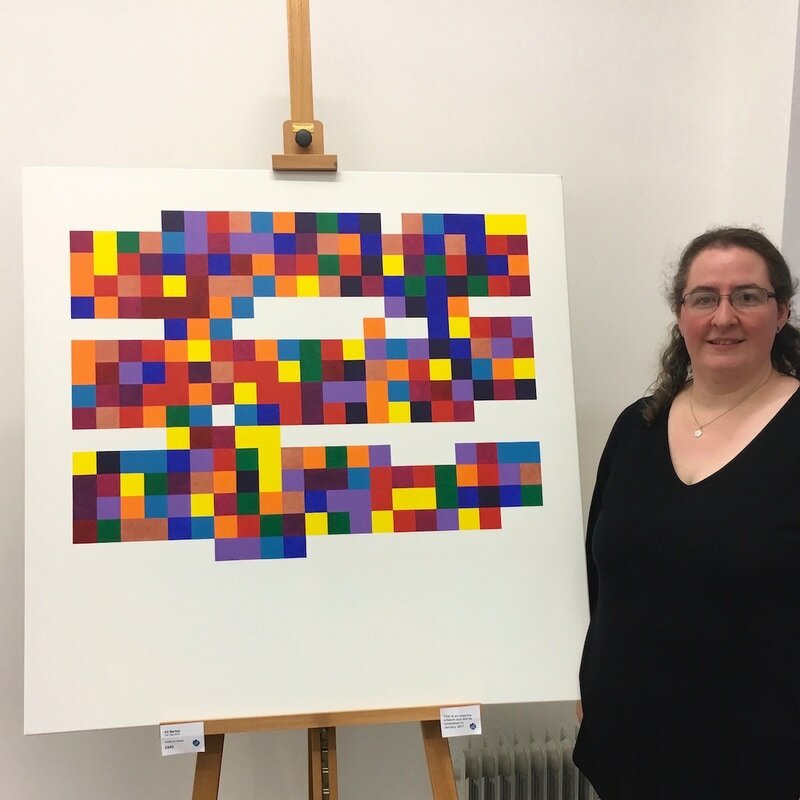 These sounds are represented as coloured squares in a calendar format, with a painting for each month of 2016 and a much larger painting comprising all 366 notes/sounds recorded during the whole year. 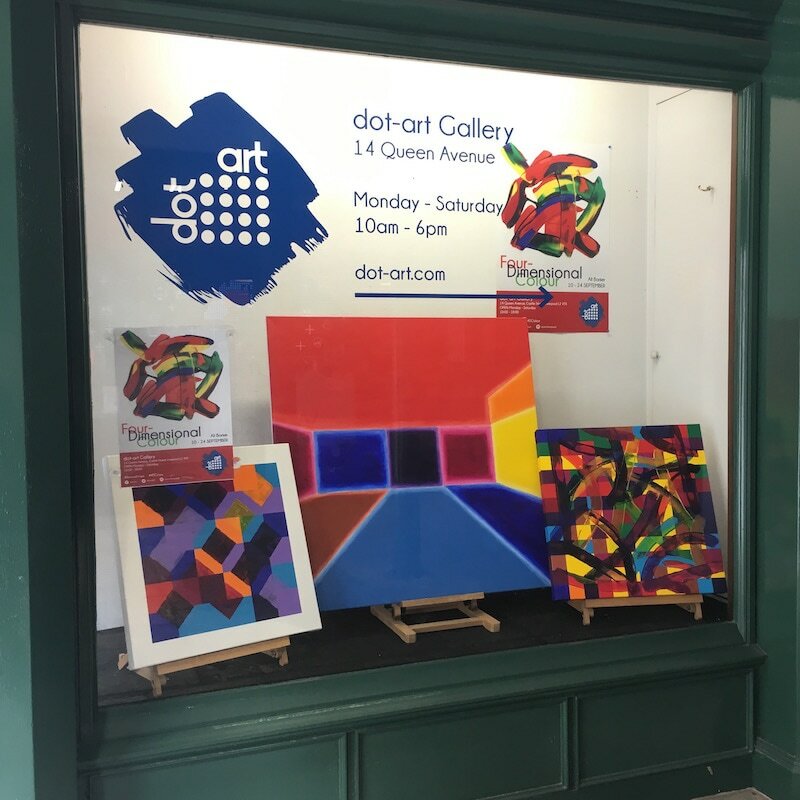 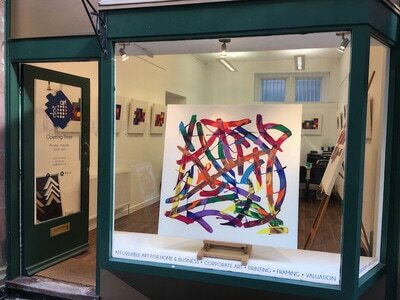 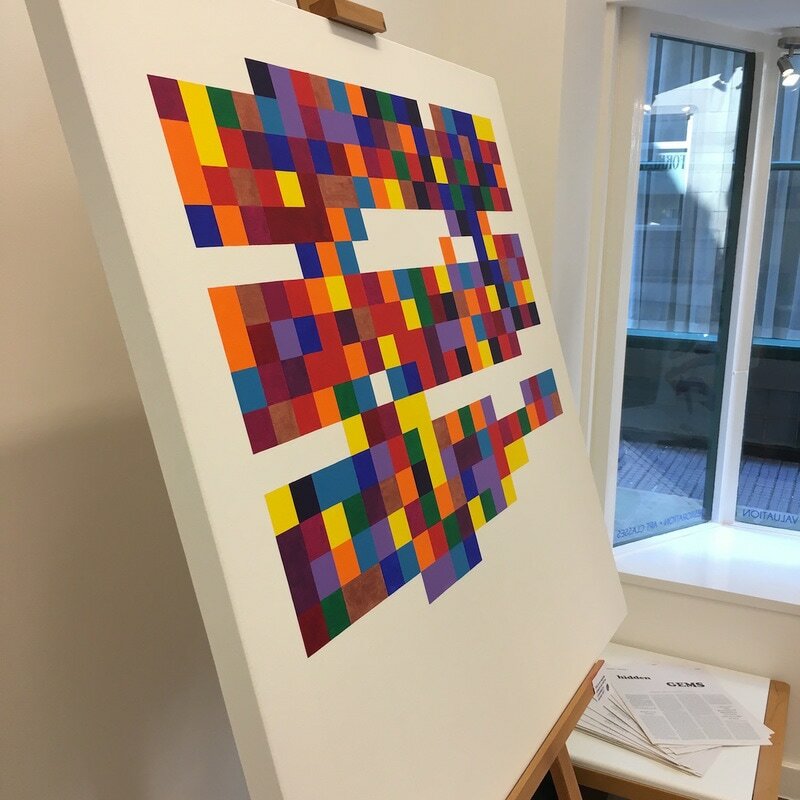 'The Year 2016' and 'September 2016' were works in progress during the exhibition, and I continued to add squares of colours to them each day in the gallery for the duration of the exhibition. 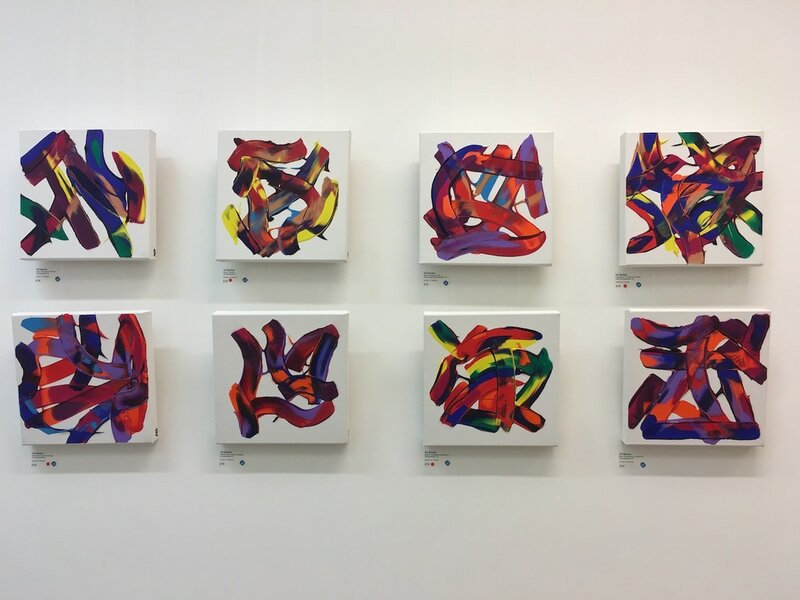 Alongside these works was shown a series of expressive 'instinctive synaesthetic responses' to pieces of music I had performed in during each month of 2016, plus several other paintings including my representations of movements from Beethoven symphonies 3, 7 and 9. 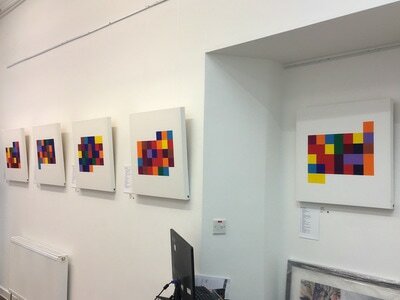 You can read more about my work and this exhibition in my Featured Artist interview for ArtInLiverpool.com.